MISSION……….Are YOU dreaming of travel? 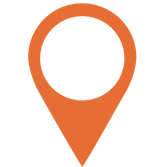 Don’t know where to start in your travel plans? No friends that can commit to traveling with you? Your partner just doesn’t have the travel bug? Tired of living vicariously through travel bloggers and IG feeds? Time for a change and a much-needed break? Tired of not “fitting in” to an age bracket? Want a new wanderlust women tribe? You don’t have to be single to join us, just have a passion for travel, an open mind and we will take care of the rest. Welcome to Wanderlust Solo Women Tours. Started here in New Zealand by Gina, who wanted to share her passion for travel and meeting people. After traveling the world solo she knew how this changed her life, built confidence and life long friendships. She noticed how some women wanted to travel but just didn’t know where to start, either because they had no one to travel with or just lacked the confidence, and that’s where WANDERLUST SOLO WOMEN TOURS was born! Fun, flexible, bespoke small group women’s tours and retreats. We aim to assist you to expand your horizons, build confidence, form enduring friendships and have a fabulous time doing so! Women from of all walks of life are warmly welcomed and encouraged to join our tours and retreats while enjoying taking time out for themselves. Take the road less traveled with us and travel like a local, not a tourist! You’ll enjoy beautiful sights whilst tasting delicious locally produced food and discovering some great secrets only the locals know. We incorporate all things good, with fun and engaging activities, cultural connection, yoga and meditation, a little bit of pampering, as well as optional extras with plenty of laughs along the way. Where possible we also support a “give back to the community day” with emphasis on Environmental and Social projects. There is something for everyone! Treating your Mind, Body and Soul. Our intimate groups allow for strong friendships and connections to be made as well as allowing for flexibility. Come and relax in Rarotonga, bliss out in Bali and reconnect in the Coromandel, NZ. Here at Wanderlust Solo Women Tours we are believers in love in all forms, including that for the earth. As such, we run a conscious business, with eco, ethical and community efforts to make sure that we are treating everyone fairly and giving back to our planet. For more on our sustainability ethos. Check out Our ethos-conscious-business. link to find out more. We want to promote all things good about conscious travel where importance is put on environmental and ethical tourism. 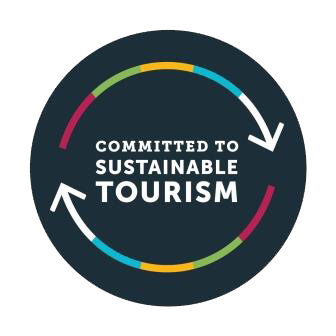 As such we are also proud supporters of Sustainable Tourism New Zealand. Kaitiakitanga; The guardianship and protection of our natural, built and cultural resources for the benefit of current and future generations. Manaakitanga; Showing respect, hospitality, generosity and care for others. Whanaungatanga; A relationship through shared experiences and working together which provides people with a sense of belonging. A percentage of all profit is donated back to the organisations we support. Check out our “ethos” page to see who we supported on our last trip.